Two things have opened my eyes! 1. I spend a ton of time on my computer and iPad watching camera, lens, and gun reviews, plus natrue and politics vlogs.. I gain a lot of useful information by seeing what folks out there have to say about things I’m interested in! 2. I recently be-friended a young man from our town, Alex Thompson a Junior in college, with his photography, he is a millennial and he knows a lot about things I have little expertise in, and I’m sharing my years of experience in photography with him. He encouraged me to start Vlogging, making videos about photography. I’ve watched a ton of them and that was good training, but this is my first effort, so be kind! 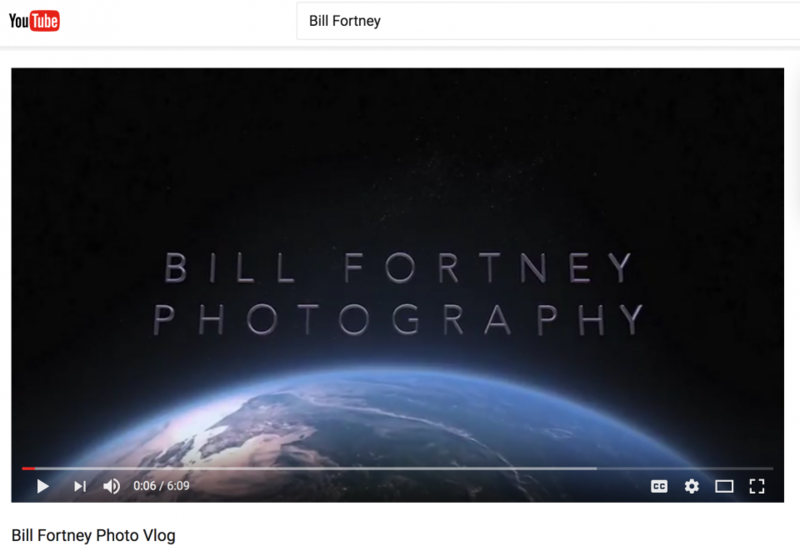 If you’re brave enough to c hec it out simply go to You Tube and enter Bill Fortney Phot Vlog inthe search bar. I plan to do a bunch of these so please come by often and see if you find something helpful to you. If you enjoy them pleae give me a Like and Subscribe so we can let you know when the next ones are posted. So please check it out and let me know what you think, if you like it, I will take suggestions on subjects you would like to see addressed in future vlogs! Special Note: Wes is going in to see his Doctor tomorrow morning and we are anxious to see where we are, no diagnosis yet, please pray for him and the family!